J. J. Keller® Hours of Service Rules for Property-Carrying CMV Drivers provides a detailed overview of the FMCSA’s HOS rules, examines the impact of the recent ELD mandate, and explains how HOS compliance impacts CSA scores. Try this Hours of Service Training Now! 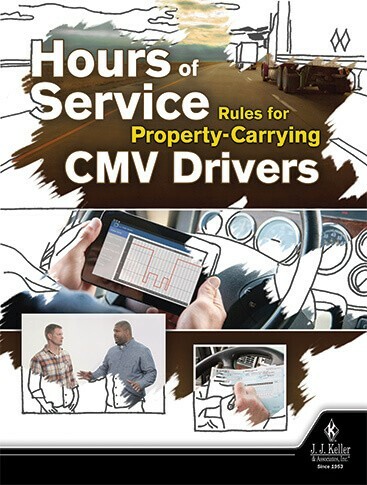 Thank you for your interest in previewing the Hours of Service Rules for Property-Carrying CMV Drivers online course. Please register or log in to watch free previews, browse the course library, purchase training points, and more. Thank you for your interest in previewing the Hours of Service Rules for Property-Carrying CMV Drivers video program. Please register or log in to watch free previews, browse the course library, purchase training points, and more.